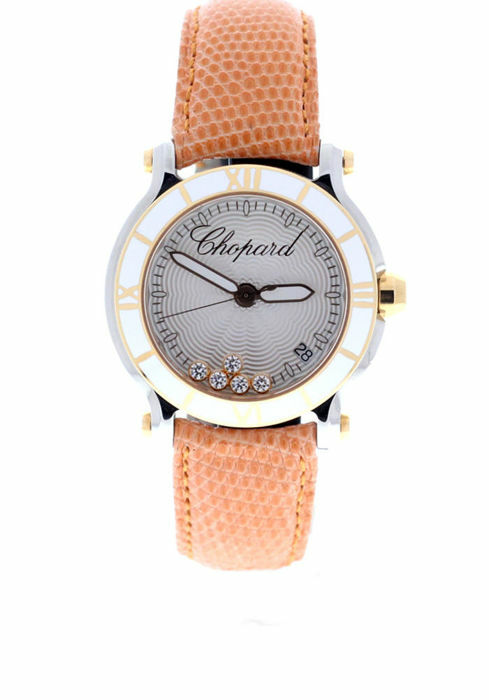 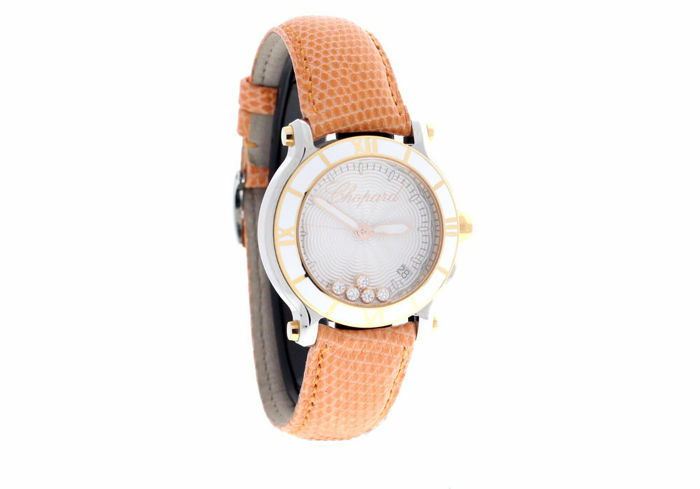 Chopard Happy Sport 278551-6002. 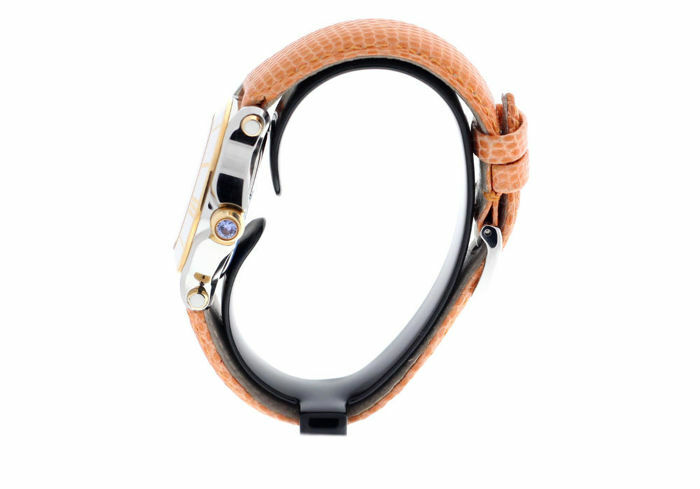 Polished stainless steel and 18-carat rose gold of 36 mm. 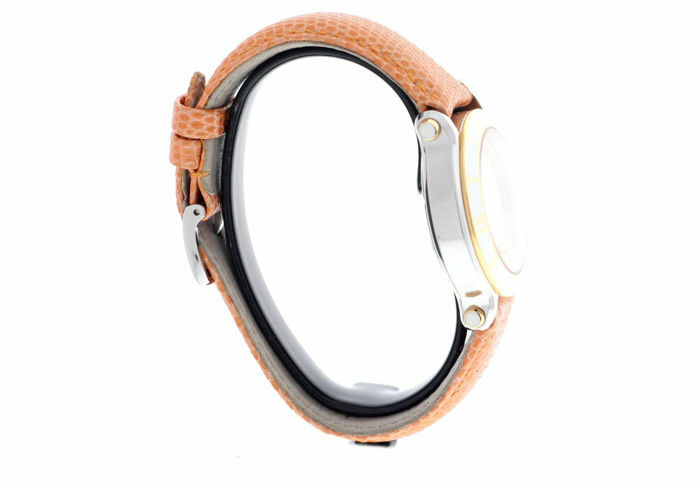 Glareproofed scratch-resistant sapphire crystal. 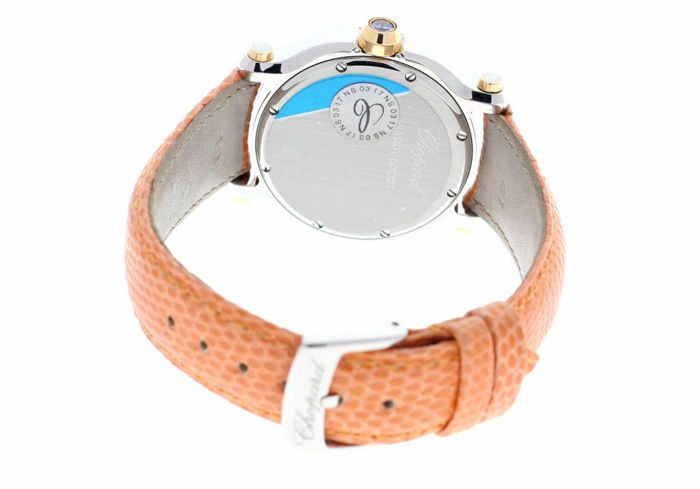 Dial with five moving diamonds +/- 0.25 carats. 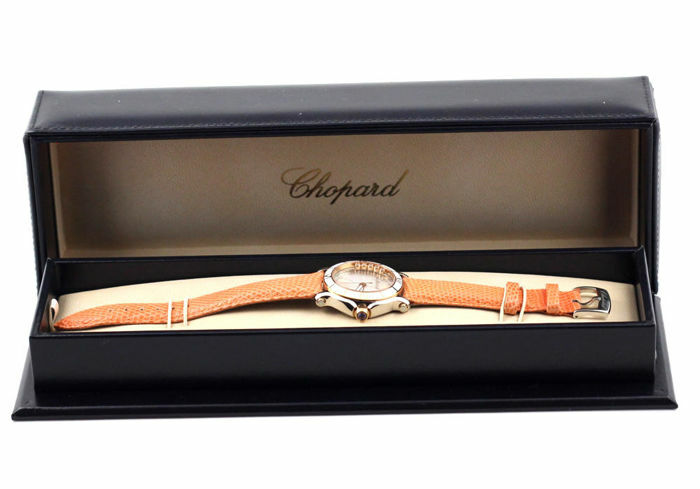 18-carat rose gold crown set with a pastel-blue sapphire. 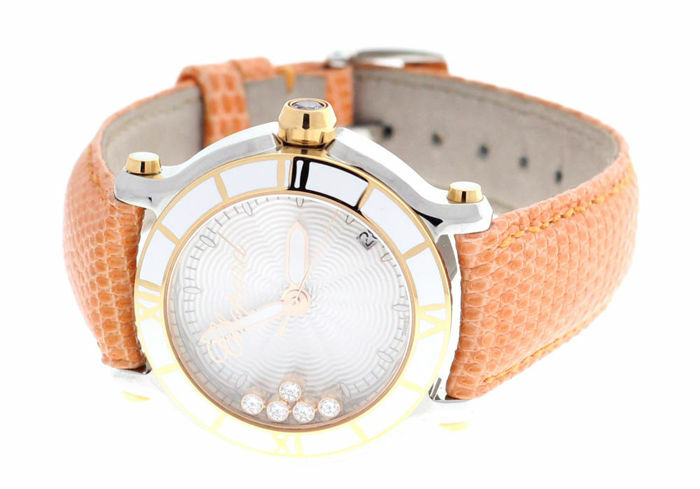 Guilloche dial. 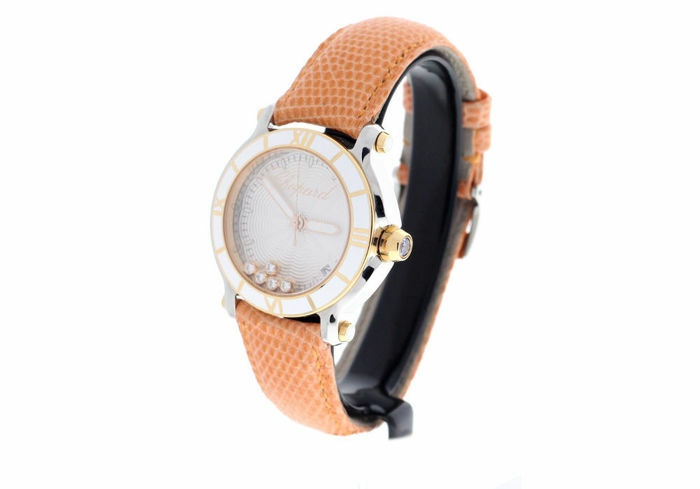 Waterproof up to 30 m. Bracelet: White alligator leather strap.